Former Zanu PF National Commissar who returned home on Tuesday afternoon has thanked a former South African minister for helping him during his exile. Kasukuwere thanked the African National Congress chief and former minister of Police, Fikile Mbalula and former Member of Parliament Tony Yengeni for the 'support and counsel'. 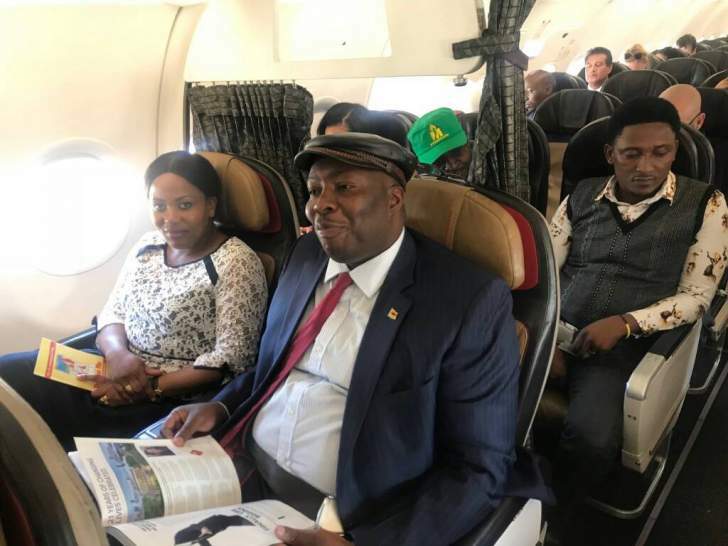 Posting on the microblogging site, Twitter for the first time in close to a month, Kasukuwere showed signs of a bitter sweet experience about his time in exile and revealed the journey won't be easy. Yengeni responded by to the tweet by congratulating Kasukuwere saying they felt blessed during his stay in the neighbouring country. The military claimed the former commissar, together with his colleagues Professor Jonathan Moyo and Patrick Zhuwao were a bad influence to Mugabe and his wife.